More tributes have come in for David Meek, the former Manchester United correspondent for the Manchester Evening News, who has passed away at the age of 88. "When I was 14, my heart already set on football reporting as a career, my headmaster Alan Walker arranged for me to go over to Manchester to spend a day of work experience with his best school friend and a proud Archbishop Holgate’s Grammar School old boy. He had arranged a similar day out at Old Trafford for Jonathan Champion, who also went on to fulfil his dream, and is now a world-renowned commentator. The Manchester Evening News’ legendary David Meek met me at Manchester Piccadilly and took me straight to the MEN offices and then into the inner sanctum of Manchester United Football Club, introducing me to the likes of Sir Matt Busby, Ron Atkinson, who was then the manager, and after the match, Bryan Robson and man of the match Jesper Olsen. I hardly closed my mouth all day. ‘Meeky’, as his colleagues called him, was the first person I saw and heard file a live match report and I was mesmerised. United lost to Nottingham Forest which meant I met Brian Clough for the first time. I remember him telling me to go to the press room (then a little cupboard next to the PA announcer) to pick up some quotes from the managers while he filed his final match report to ‘Belfast’. Cloughie, who clearly hadn’t expected such a young young Young man, spent the first five minutes interviewing me, much to the senior journos’ amusement. I didn’t have a clue what I was doing, which has lasted to this day. I fell in love. With the job, journalism, Cloughie, although not United. David sent me on my way back to York after buying me a copy of The Pink at the station, with his by-lined match report on the front page. A week later, I sent him a combination of a thank you letter and match report which he liked so much he kindly printed it in The Pink the following week. It was my first published football article, but certainly not the last. And so began a warm friendship. When I joined the national newspaper pack, he remembered me the first time we met again at St James’ Park in 1996 and always kept an eye out for me. I can’t tell you how privileged that made me feel. The lovely welcome David extended on that first day was always there whenever I went to Old Trafford and he was still working and ghostwriting Sir Alex’s programme notes. As well as sharing a love of the game and job, we had a joint interest in the fortunes of York City, and the Yorkshire Evening Press. I started at the YEP as an 18-year-old trainee after two years of voluntary weekly work experience, arranged with Alan Walker’s blessing. David’s dad Wilf was the YEP’s City reporter for many years and eventually became club chairman. He always asked about York and Archies when our paths crossed. Last year I went to interview him at his home in Milton Keynes. He was such a lovely man, made me tomato soup and was in great form, typically humble, reminiscing from the days when he was appointed the MEN Manchester United man just days after the Munich air disaster which claimed the lives of eight journalists, including the MEN’s Tom Jackson. He made such a positive impression he stayed on for more than 40 years. He was so trusted that he continued to write Sir Alex’s notes when he retired from the MEN. His favourite all-time player was Bill Foulkes. And like any good journo that was based on ability and accessibility. The bookcase in his office was a sea of red volumes and spines from the 50s, 60s and to the present day. And he had written most of the hundreds of books and magazines on show. I covered a few Manchester United games in Europe and I remember sitting next to Jon Champion on a return trip from Athens a few years ago. I reminded Jon of his own trip to Old Trafford all those years ago and we agreed how proud Alan Walker and David Meek would be that two Archies lads were living their dreams. I was fortunate that two great men set me on that path and it was an honour for me to go on to call David Meek a friend and a colleague. RIP ‘Meeky’. Although I always called him David." "It was the fundamental humanity of David Meek which so many of those who worked with him will most remember. Someone made the point, when news arrived of his death on Tuesday, that he was always interested in what you had written, heard, or were doing in life. He’d kept chickens at some stage and I had some vague intention of doing the same. ‘So have you got them yet?’ was his constant refrain when our paths crossed. I’d newly arrived in the forbidding world of football writing at the time, ten years back. Kindness of his kind was a precious commodity. By then, Meek was a regular traveller on Manchester United’s European trips – there as a representative of the club to accompany reporters and a regular companion on match-day morning walks around some European city or other. But behind the humility and self-effacement, there was the journalist’s steel. He was the chronicler of Manchester United for the Manchester Evening News and, of course, also the ghost-writer of Sir Alex Ferguson’s programme notes down many years. He gave as good as he got when Ferguson revealed that propensity of his to combust with reporters. There was trouble when Ferguson took his players for a day trip to the SAS headquarters in Hereford, at the instigation of the club's head of security Ned Kelly, who had served with the regiment. One of the MEN’s news reporters had got wind of the story. Ferguson asked the paper not to publish - fearing that his club would become a target for the then active IRA - but the paper went ahead anyway. Ferguson had thus effectively severed all relations with him, but he decided to meet the problem head on at Old Trafford, when the players trained on the pitch there just before Christmas that year. Ferguson spotted him. ‘The Manchester Evening News is finished at this club,’ he bellowed and marched away up the slope to the top of tunnel. He was out of breath, at the top, when Meek caught up with him. "OK. If that's how you feel, then Merry Christmas," Meek retorted as another Glaswegian volley came his way. Meek was marching past him when Ferguson's arm came out. ‘Nothing personal, you know!’ Ferguson said, a smile breaking across his face. Fire always was best met with fire where Ferguson is concerned. Meek’s quiet persistence also brought surely the greatest published insights into Ferguson. The relatively unknown book ‘Six Years at United’, which he ghost-wrote with the manager in 1992, is a gem. Its depiction of the insecurity Ferguson felt in those early trophy-less years quite extraordinary when you read it back now. Meek is also perhaps the journalist who knew Ferguson's compassion more than any. After illness forced him to break off from 16 years of uninterrupted programme notes, the Scot despatched a huge bouquet of flowers to the hospital where he was recovering. He was convalescing at home a week later when the phone rang. There were no words of introduction down the line, just a growl declaring: ‘The Scottish beast is on its way!’ Ferguson was at Meek's door in 20 minutes. Meek related these anecdotes for a piece I was writing for The Independent seven years ago - about the manager’s relationship with the media in what had by then been 25 years at the helm. I felt like the callow newcomer, mining his secrets, yet he was happy to speak of those days with extraordinary affection. ‘He never lost his sense of wonder at the game and his characters,’ someone reflected this week. Which pretty much said it all." "David Meek was a hero of mine. And not just me. He was a role model for dozens of young football reporters back in the sixties and seventies and, of course, he had the stage on which to perfect his journalistic craft – Old Trafford. “Meeky” charted the everyday business of life at Old Trafford with the spirit of Denis Law, the confidence of Bobby Charlton and the grace of George Best. These three great players were the cornerstones of the rebirth of Manchester United in the sixties and David found it impossible to say which of them was THE greatest. David reported on life at Old Trafford from 1958, when as a young leader writer he took over as United correspondent from Tom Jackson, tragically killed in the Munich air disaster, until 1996. I had the good fortune to work alongside him on many occasions. I learned many valuable lessons from him and perhaps the most important was the value of trust. “Meeky” would never break a confidence. I remember a former United manager Dave Sexton, who I knew well from his time at Chelsea, telling me that David Meek was the only reporter he would trust. Years later, David established a similar rapport with Sir Alex Ferguson. He wrote his programme notes for 26 years and despite all kinds of inducements would never reveal the manager’s thoughts before they appeared in the programme. He was privy to the inner most secrets of one of the world’s great football clubs and never betrayed a confidence. We travelled together across the globe, covering England, and it became a real pleasure watching his charm, his logic and his kindness win over some stubborn passport official, security guard or press box dictator! I last spoke to him a few days before he died. I wanted to remind him of the debt I owed him. At the Mexico World Cup in 1986 he introduced me to the girl who would become my wife. Yes, “Meeky” was a not just a special friend. He was my hero too." From Neil Harman: The sad news keeps on hitting hard. David Meek, who became the Manchester United writer for the Evening News in the wake of the Munich disaster [a job he continued for almost four decades] has passed away at the age of 88. I moved to Manchester in 1981 and will never forget his kind words, wise counsel and helpful spirit. There was no more considerate, warm colleague in the press box. Always there for his fellow man, which speaks volumes of him. There will never be another Meeky. From Matt D'Arcy: Devastating news! My guide and mentor from the time I joined the MEN sports desk in 1966 until I joined the Daily Star in 1978. And even then, he would keep in touch as a friend as much as a colleague, with words of advice and encouragement. He introduced me (young, and new to this world of football journalism) to his closest contacts--like Busby, Best etc--and opened doors for me, generously and unselfishly. David was a wonderful, kind man, a gentle soul, widely admired and trusted by football people who gave their trust and admiration sparingly. What a loss to our profession. My thoughts, now, are with his family. RIP Meeky. 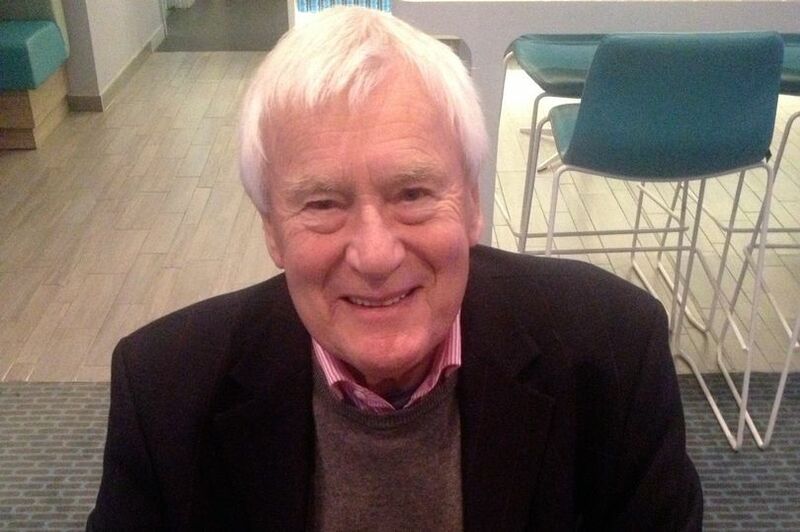 From Andy Mitten: Very sorry to hear about journalist David Meek passing away. He covered MUFC for the Evening News from ‘58-95. Helped me loads, with work experience and advice. He was still on Euro aways until 2011. He’d mind my ticket and wanted to hear which daft route I’d taken to the game. From Mark Ogden: To many journalists who have covered @manutd, David Meek was as big a figure as some of the players he reported on as the MEN’s United reporter for almost 40 years. A great man, without an ego, and a true legend of his profession. Sad news. From the FWA's Paul McCarthy: David Meek was a journalist who people trusted implicitly even when he had one of the toughest jobs in the media. His class shone through in everything he did and he was truly a man with the absolute highest standards. He will be greatly missed by so many. From Gordon Burns: So sad to hear of the death of David Meek the legendary @MENnewsdesk sports writer. Great journalist and really nice man. What a long and outstanding career he had. From Alex Stepney, former Man Utd goalkeeper: Very sad to hear that David Meek is no longer with us...been a bad week for losing good football people.